I’m way behind again in updating the blog, so advance apologies to the loyal subscribers who are about to be buried in a sudden deluge. Of COOL stuff! These are a just a few of the interior photos done for Helix of their work at Highland Place apartments in the 18th + Vine neighborhood. 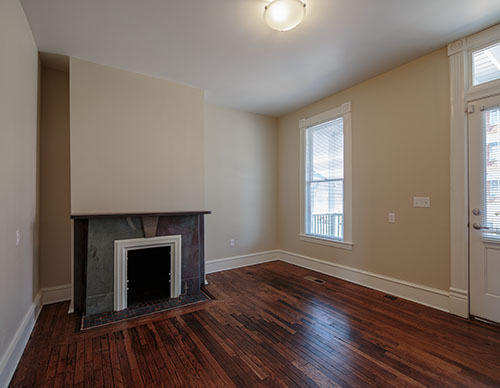 Their restoration of existing houses and apartment building won a 2013 Capstone Award. 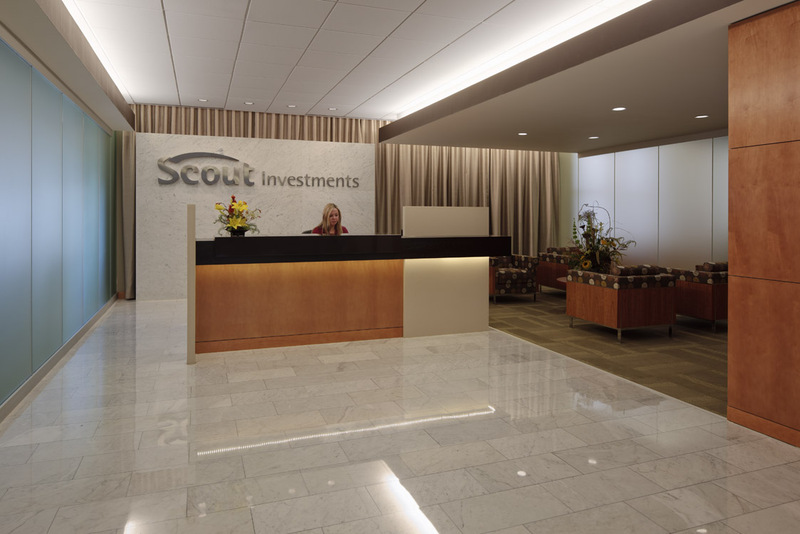 Derek Porter Studio has won a regional award and a national Merit Award from the IES for their lighting design work at UMB Scout offices in Kansas City; architecture by SFS Architects. I know I’m wearing it out, but I’ll say it again anyway: I’m very happy their photographer didn’t screw it up for them! Click HERE for more photos. 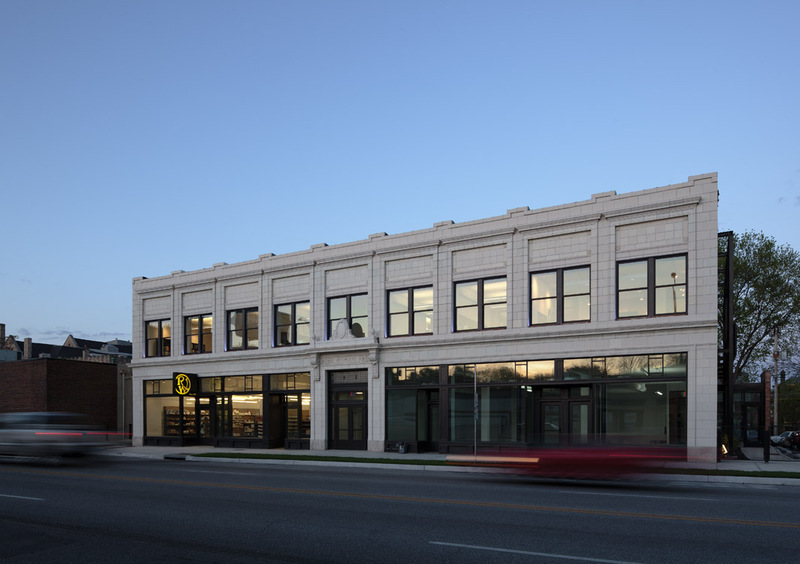 If you weren’t already convinced MSM Architects and Helix Architecture + Design are killer design firms, the 2011 AIA KC Awards provide fresh evidence. 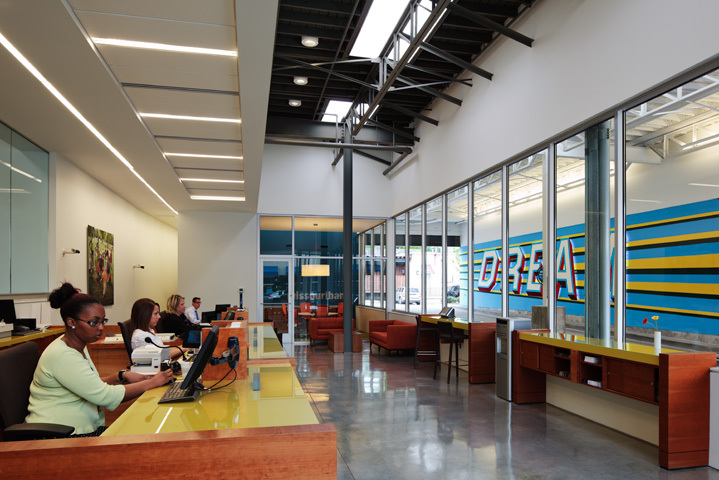 Their entries won two of the three top awards; an Honor Award in Design Excellence went to MSM’s Posty Cards project and to Helix’s Missouri Bank in Brookside. Helix also won a Citation Award for the O.H. Dean Building Renovation and an Honor Award in Allied Arts & Craftsmanship for the MO Bank artwork by Archie Scott Gobber. Erick and Lance Jesse of Posty Cards won one of two of the first ever Design Hero Awards for their visionary patronage. I am very happy to say that in all these, their photographer didn’t screw it up for them! I posted the first round of photos of the renovated and enlarged Posty Cards facilities earlier this year HERE – these are new exteriors mostly, now that the landscaping has had a chance to settle in. 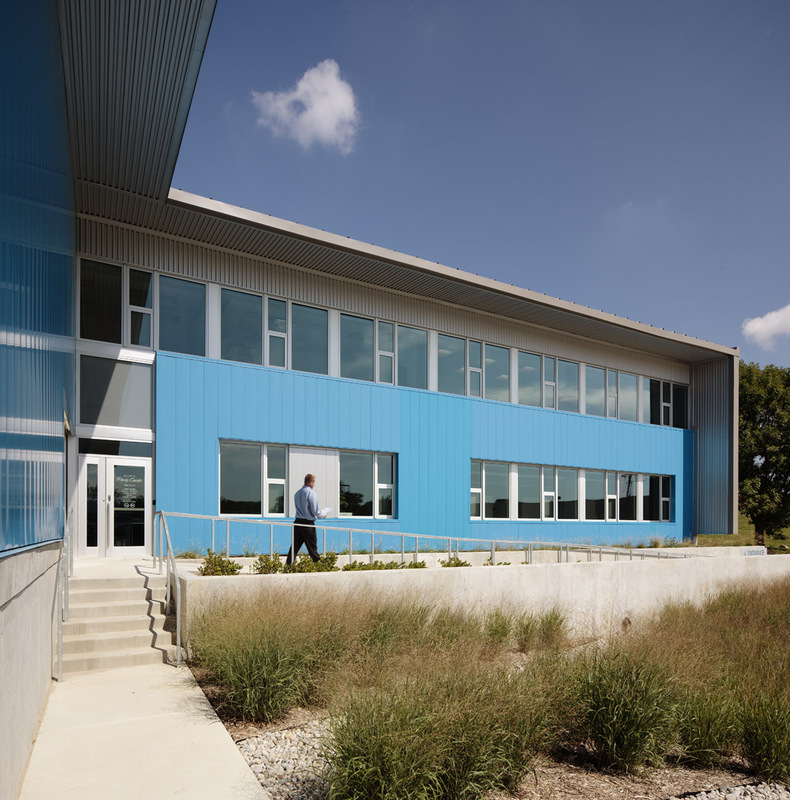 AIA Honor Award winning design by MSM Architects. 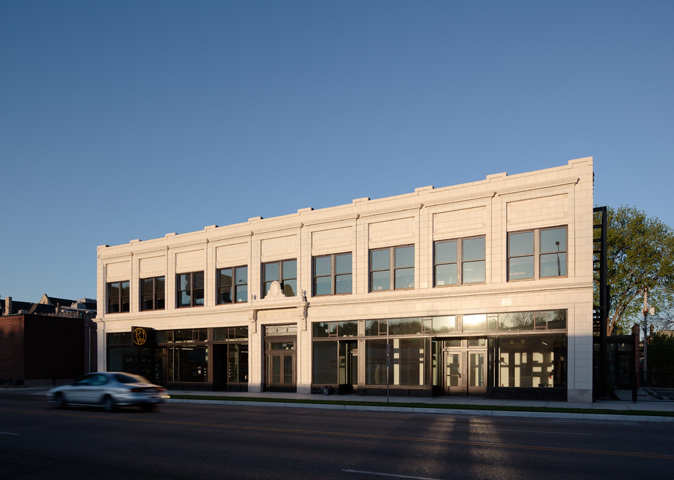 These are of Helix Architecture‘s recent renovation of a handsome old terracotta-faced building in midtown KC, the new home of Reeves Wiedeman Company, wholesale plumbing suppliers. 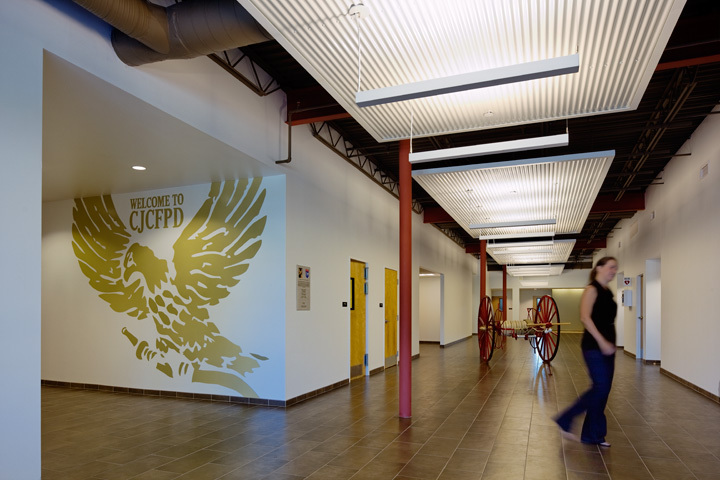 A copper wrapped, skylighted atrium in the center of the building connects the grade-level service floor to offices above.